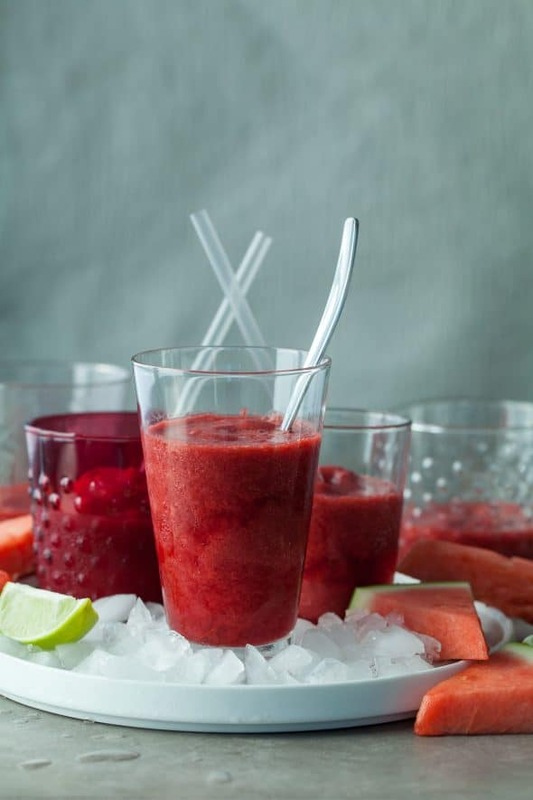 Icy-cold, all-natural, fruit-filled slushies help beat the heat. I’m not sure what the weather has been like where you are this summer, but here, it’s been hot, very hot, record breaking hot in fact. We’ve been melting for weeks now, and even though summer is technically on its way out soon, the heat will probably continue to linger. 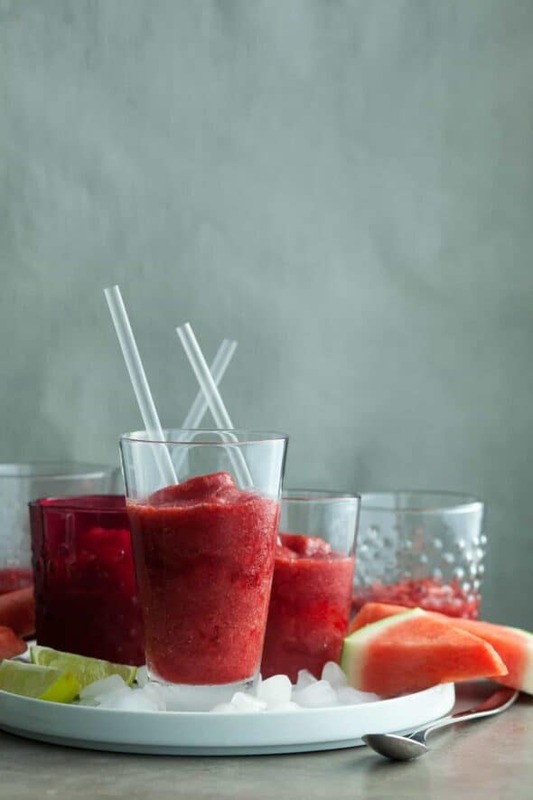 A homemade slush is sure to bring back childhood memories and this thirst-quenching version is packed with the best summer fruit. 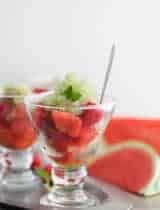 Watermelon, strawberries, raspberries and cherries all mingle together in this frosty treat along with a splash of coconut water and a hint of grapefruit and lime to balance out the sweet. 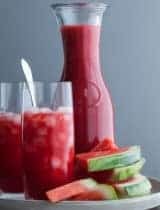 Watermelon is a natural when it comes to re-hydrating because of its high water content (about 90%), it also happens to be delicious blended up and served icy cold, while coconut water also helps beat the heat and add back some much needed electrolytes. 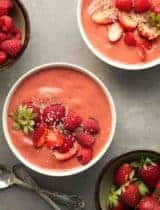 The strawberries, raspberries and cherries combine with the grapefruit and lime to create a fruity and refreshing slush that’s reminiscent of fruit punch, (minus the artificial colors, flavors and the added sugar.) 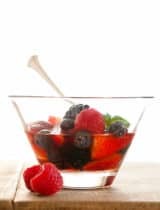 If your fruit is ripe you won’t even need to add any sweetener. 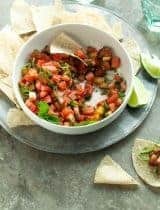 If however you’re dealing with a less than stellar selection a few drops of stevia (I like this one) or a drizzle of honey is really all you should need. 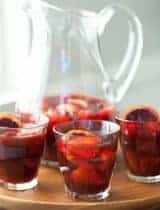 The method is easy: blend, strain and freeze. The freezing part is up to you. If you have an ice cream maker then pull it out and let the mixture churn until slushy. 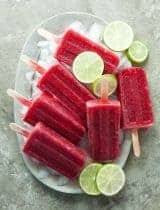 If you don’t have an ice cream maker, simply freeze the mixture in ice cube trays until almost frozen, then toss it back in the blender to slushify. 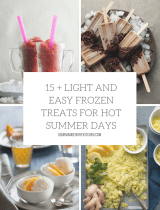 Either way, the hands-on time is just a matter of minutes, so get to it, because we could all use an icy treat right about now! 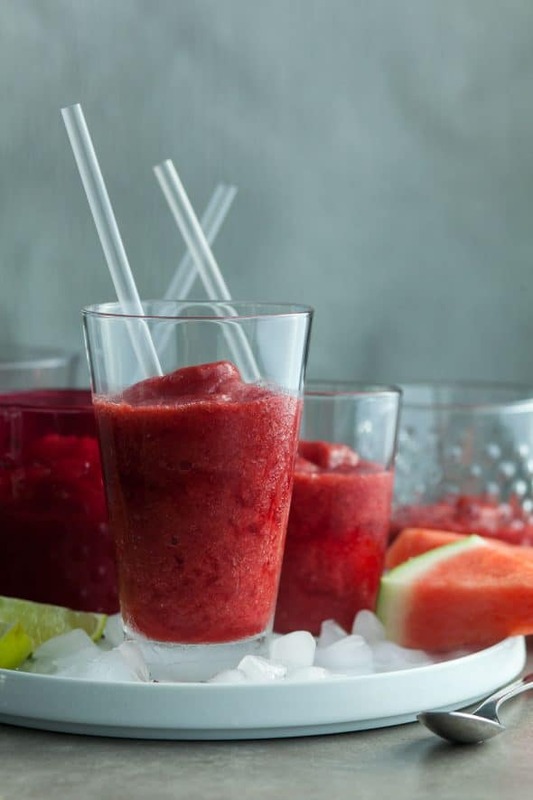 Homemade icy-cold, all-natural, fruit-filled slushies help beat the heat.